MEET YOUR REAL ESTATE NEEDS! 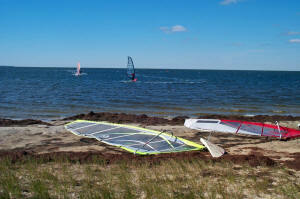 Hatteras Island is one of the premier wind sport locations on the East Coast. 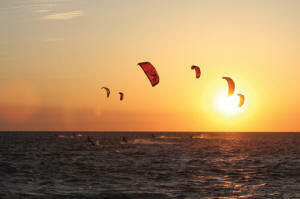 With world famous Canadian Hole at the center of the island, Hatteras enjoys a close relationship with the international windsurfing and kiteboarding communities. 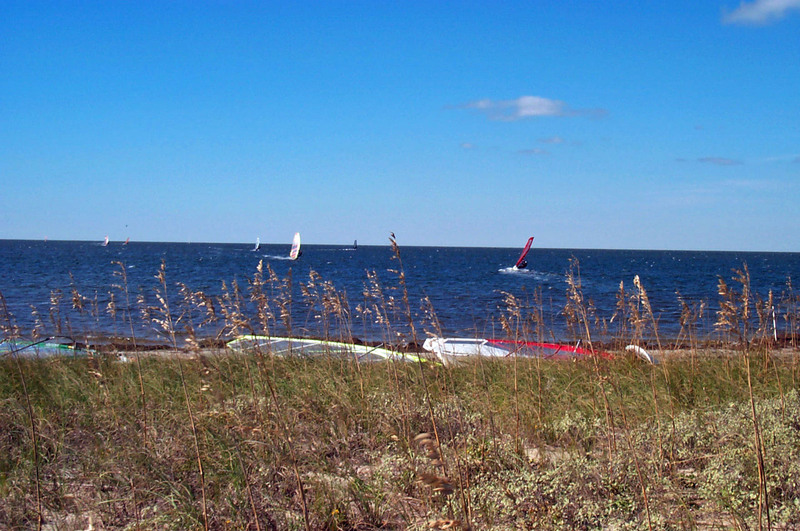 During the spring and fall, Pamlico Sound becomes a rainbow of color as hundreds of kiteboarders and windsurfers from all over the United States and Canada spread their sails in the wind. After a great day of sailing, there is nothing like coming home to a comfortable cottage to trade tall tales and to relive the day on video. Outer Beaches Realty, Hatteras Island's largest rental company, offers over 500 cottages to choose from. It would be our pleasure to offer you the accommodations you want at the price you deserve. 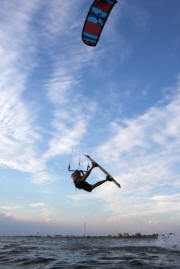 To receive a free brochure listing all of our cottages, call 1-800-627-1850 or use our convenient e-mail request form. 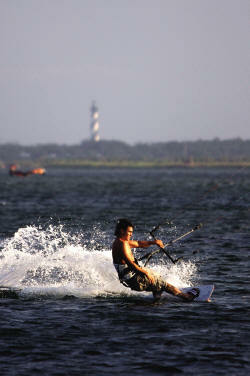 Once you visit Hatteras Island, chances are you will be captivated by its magic and return again and again. Over time, many of our regular visitors decide to make the island a more permanent part of their lives by purchasing a cottage or a homesite. When that time comes, we are available to assist you in every way possible. To view a selection of properties and price ranges, click on the representative properties button. 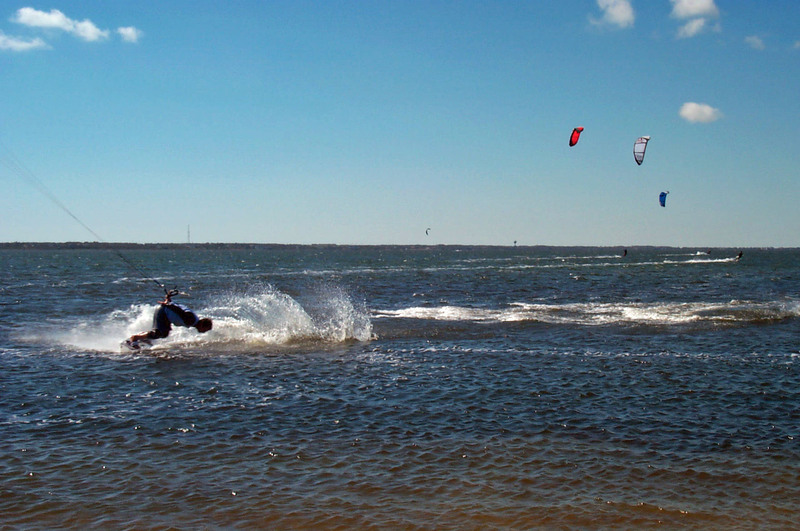 To maximize your enjoyment of Hatteras Island's natural assets, we have an attractive variety of well-equipped wind sport shops offering instruction, sales and rentals. 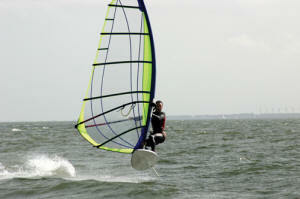 If you should encounter a light wind day, kayaks, waverunners and parasailing provide exciting, fun-filled alternatives. One of the many nice things about Hatteras Island is the friendliness and southern hospitality that will greet you everywhere you go.